A locally owned New Orleans limo service. 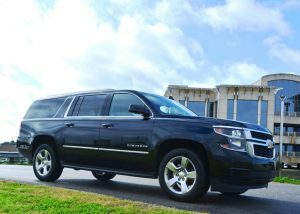 New Orleans Luxe Limousines provides the highest level of safety, comfort, and class to all of our guests. New Orleans Luxe Limousines offers quality New Orleans limo service in and around the New Orleans metropolitan area. Whether it’s business or pleasure we have the vehicles you need. We have a large selection of vehicles to choose from. Such as sedans, SUVs, limos, mini buses, shuttle buses, and party buses. In fact we are not just another New Orleans limo service. We are a professional transportation company that prides itself on quality service. Particularly and above all our number one goal is to provide our clients with the prompt and responsive attention they deserve. All of our vehicles are kept clean and well maintained. Ready for our clients to enjoy. Our detail to customer service is top of the line and like wise our drivers are highly skilled and professional. Without a doubt New Orleans Luxe Limousines is the best New Orleans limo and party bus service in town. Our chauffeurs work hard to assure our clients have a positive experience every time they book a car service with us. What’s more our office staff is also more than ready to assist in all of our clients needs. So no matter what type of transportation service you may require, Luxe Limousines is the one to call. Choose from town car sedans to SUVs to party buses. We have what you need in a car service. And with our competitive prices and wide selection of vehicles our clients are always impressed and left satisfied with our service. So why not let us show you why we are one of the best in New Orleans. Give us a call. We’ll be happy to hear from you. In fact, whether you need transport for a wedding party, or just a night out on the town, you can’t go wrong with Luxe Limousines. So book with us now. And then sit back and enjoy your ride. While we take care of the all the driving. After all we make it easy for you. Book today!